Home » early bird » It came, it came! If you are a fan of GOODEness Gracious on Facebook you already know that I have another great Gooseberry Patch surprise for you! 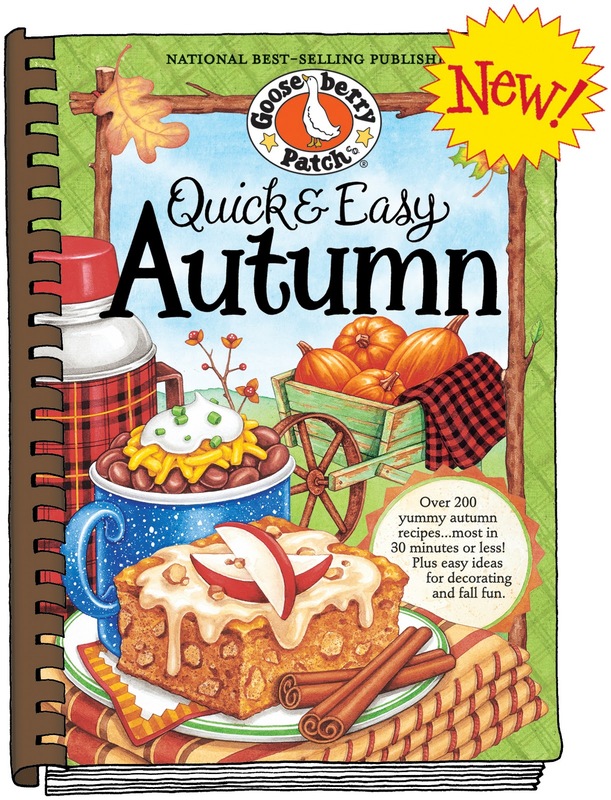 My dear friends at Gooseberry Patch sent me a sneak peek at their newest cookbook Quick and Easy Autumn to review and gave me another to give to one of you! Before we dive too deep into the book I need your help choosing a dip… ya see my friend, the Saucy Dipper is holding another Dipstock and I just gots to join in. Below are some great dip choices from this new book. Please vote on your favorites. The recipe with the most votes by 9 PM Wednesday will be my choice of dip. Then we move on to Breakfast, Main and Dessert choices… from those, I will select your favorites to cook up this weekend and share with you next week. These recipes will be selected by 9 PM on Friday. Once the votes are in, I will share those recipes here with you next week! Not sure… sounds like you need to share a recipe! They will all be very good!!! Good luck!! !